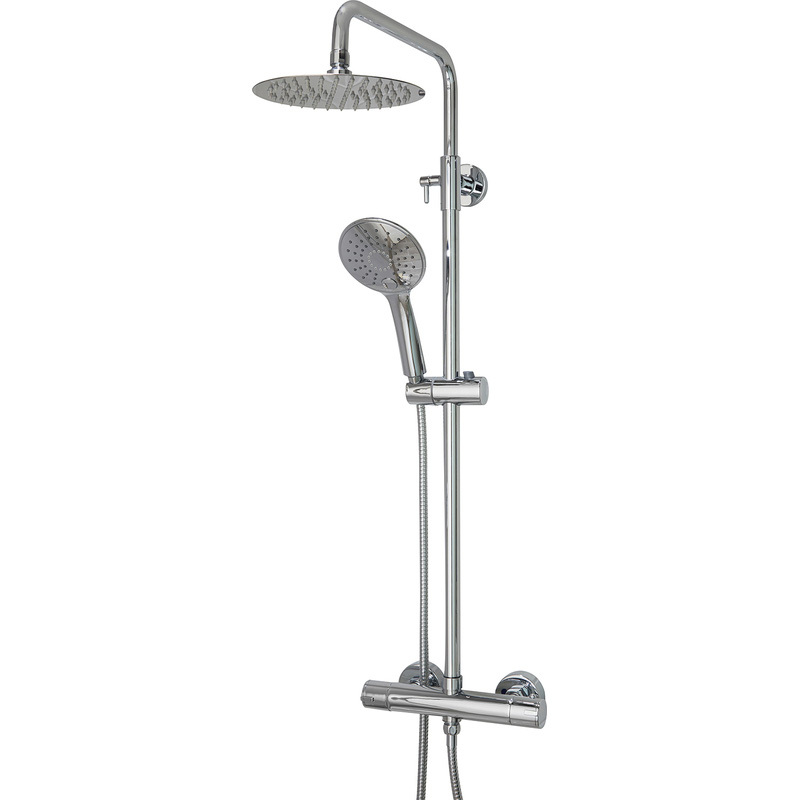 Spey 2 Thermostatic Rain Mixer Shower Valve & Kit is rated 4.7 out of 5 by 7. Rated 4 out of 5 by AKSA from Good shower unit Bought this a week ago as needed to replace a failing unit for my tenants. Liked that this was adjustable height as low ceiling in the bathroom concerned. Now installed and seems to work well. I think my tenants will be pleased when they return after the Easter break. Rated 5 out of 5 by Anonymous from Good Does this unit work when a pump is fitted? Rated 5 out of 5 by Tony470 from Recent purchase The Spey 2 shower I purchased arrived exactly in time and was complete. It was strait forward to fit and works fine. The only problem is that the flexible hose supplied will not park the small shower head in the socket provided on the main shaft. This is because a castigated nut secures the shower head to the hose and the socket provided is too small. Rated 4 out of 5 by Mae gen i from Good value For the money this is a value product. Looks and quality of fittings are very good. Have used it for 3 months and was impressed straight away with temperature control and flow of water. Unfortunately this week a leak started from the flow control and after dismantling the o ring appeared to have been damaged on assembly. Found a new o ring in my stock and now all ok.